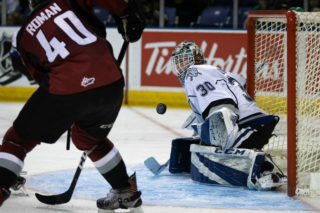 Victoria earns a point in 2-1 loss to Tri-City; hosts Seattle on Tuesday & Wednesday. 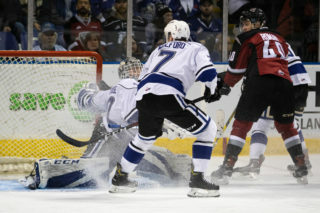 Victoria, BC ­– The Victoria Royals fell 2-1 in a shootout to the Tri-City Americans, on Saturday night at the Save-On-Foods Memorial Centre, and earned three out of a possible four points this weekend. Royals – Phillip Schultz 1g-0a, Sean Gulka 0g-1a, Jameson Murray 0g-1a. 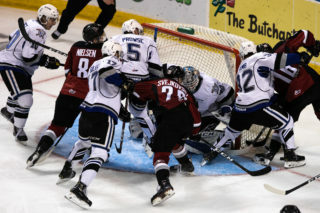 Tri-City – Parker AuCoin 1g-0a, Kyle Olson 0g-1a (Shootout Winner), Aaron Hyman 0g-1a. Extra Time: Tonight was the Royals’ seventh extra time game this season. They are now 2-1 in overtime and 2-2 in shootouts. Tie Game: With tonight’s loss, the Royals’ record when tied after one period fell to 7-7-1-2, and 8-1-1-2 after 40 minutes. 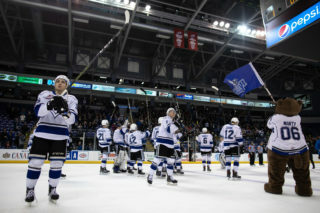 February Throwback: Since the team relocated to the island from Chilliwack in 2011, the Royals have posted a record of 4-1-0-1 against the Americans in the month of February. Former Teammates: Tri-City forward Connor Bouchard and Royals’ defenseman Mitchell Prowse were teammates on the 2014-15 Okanagan Hockey Bantam Prep team. Both skaters played in 18 games, where Bouchard recorded eight points (5g-3a) and Prowse tallied seven assists. 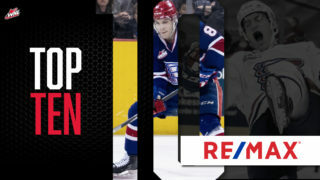 Down the Road: Following tonight’s contest, the two teams will match up twice more this season on Saturday, February 9th and Wednesday, March 6th in Kennewick, WA. Up Next: Victoria continues their four-game homestand with a two-game weekday series against the Seattle Thunderbirds on Tuesday, February 5th and Wednesday, February 6th. 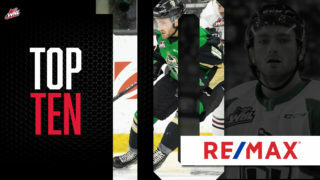 Puck drop for both games is at 7:05 p.m. Tickets can be purchased in person at the Select Your Tickets box office, over the phone by calling 250-220-7777, or online at www.selectyourtickets.com.